I am on my way home after work, trying to get to the Forbidden Planet bookstore on the other side of Broadway when the Bicycle Samurai crosses my path. It’s lucky I’m paying attention, because he is serenely oblivious to his surroundings, going by so close that he forces me back onto the pavement. I feel the breeze of his passing, but my mind hasn’t caught up with my eyes. His lordship isn’t moving very fast, but he’s pedaling like crazy, clearly a bike with a low gear and nothing else, and the sheer spectacle of him, a floating rainbow of a figure moving in his own virtual self-contained bubble, chokes my instinctive New Yorker response. The man is physically imposing, dwarfing the bicycle he’s riding, and I guess he weighs over two hundred pounds, all of that enormous bulk swathed in a colored satiny kimono-like costume that envelopes him like a robe, authentic to the point of hanging sleeves and intricate dragon embroidery on the neck and down the arms. Shades of red, ochre, yellow and orange so vivid they make me blink, remind me of the maroon and saffron robes worn by Buddhist monks, but the burgundy red pants, tucked into calf high laced up boots, pointed conical leather cap with ear flaps and sequined vest are nothing a monk would ever wear. The mount is as amazing as its rider, a marvel of ceremony and function clearly modified to serve the self expression of its rider. Over the front handlebars hangs a metal mesh waste basket cradling a boom-box turned up as far as it will go. I think the bike is yellow, but I can’t be sure. I stare incredulously at the long whip-like radio antenna fixed to his rear mud guard, waving in the wake of his passing like a conductor’s baton dictating the tempo of the music as it scores his passage. I don’t know if the antenna has any connection to the radio up front, or if it serves some other esoteric purpose, but it is connected to something, because on the tip appears what looks like a ping-pong ball, and it glows bright red. A wicker basket bounces up and down behind the Samurai’s seat, painted red and lined with cloth. In the basket sits a little dog; a Fox Terrier or something similar, posed like the iconic image on old RCA record labels, perched alert on his haunches, with his head cocked to a side and his ears pricked up. I swear he is listening to the music. Amazingly, a pigeon sits motionless on the top of his cap, like the plume on some ancient warrior’s helmet. Initially I think the pigeon is dead, stuffed and fixed to his headgear but suddenly, startlingly, it flaps its wings to maintain its balance on that precarious perch. The pigeon is as aloof as its wearer. Leather saddlebags drip down either side of the Samurai’s seat, reaching almost to the rear wheel axle and making the entire assemblage appear bigger, so the bike doesn’t really look like one unless observed closely. In sum, it defies description, a characteristic it shares with its rider. Surprisingly enough, the Samurai is doing well in the traffic coming down Broadway, although he clearly obeys his own rules. Looking back towards Soho, the traffic signals are red as far as I can see, but the Samurai sails on blithely, ignoring the vehicles approaching from either side at the intersections he crosses. I think the sheer spectacle of him gives him safe passage through those perilous junctions where he clearly does not have the right of way. Nobody honks. Everybody stares. Everyone smiles. I just watch as the Bicycle Samurai sails on into the gathering twilight, his theme music fading as he dwindles into the distance. Long after he has disappeared from sight, I can see him in my mind’s eye, an incongruous caricature of a figure, inhabiting his own world and supremely comfortable in it, larger than life and so obviously enjoying it. I envy him. When I close my eyes I can see him still. 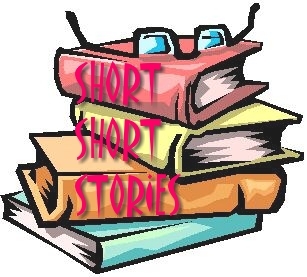 This entry was posted in Short Shorts and tagged short short story by bryanknower. Bookmark the permalink.